The year is 1994, and with the celebration of the 10th anniversary of A Nightmare on Elm Street, Wes Craven has returned to the franchise to breathe new life into it (because, seriously. After Nightmare 4, who can blame them for wanting to go back to the master?). Even 10 years later, Heather Langenkamp, the original heroine from the first Nightmare film, is haunted by dreams about Freddy. Craven tells her that making another Nightmare movie is the best way to get over her fear. 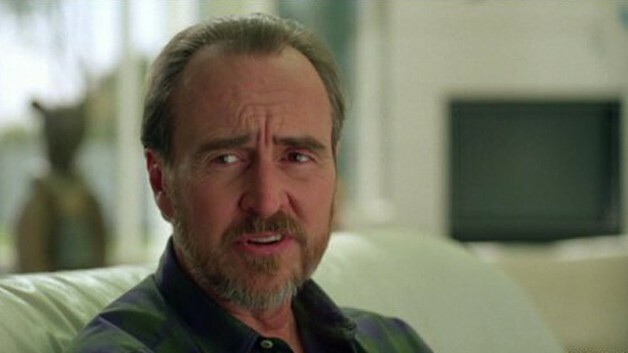 Personally, this is the point when I would have told Wes Craven that I better have a good paycheck coming to pay for all the therapy I’m going to need, but Heather agrees to do it. As the writing of the script and the filming progress, things start becoming freaky weird, and Heather may or may not be losing her mind. An ancient force, an essence of pure evil itself, has manifested in the real world, taking the form of Freddy Krueger. Freddy takes a special interest in Heather’s son, killing the boy’s nanny and even possessing him. The evil essence fed and fueled by the terror of the Nightmare movies knows that the franchise is coming to a close (yeah, right), and wants to find its way into the real world – and will do anything in its power to make this nightmare come to life. There are two major reasons I love New Nightmare. The first is the homage to the original film. After Wes Craven sold the rights to the film franchise, the subsequent sequels each became more and more ridiculous, gradually turning Freddy from a creature of nightmares into an almost comical caricature of what he was in the original. In New Nightmare, Freddy is restored to his original glory – and even made darker and scarier than in the first. He’s ugly and sinister, and you can’t really blame Heather for being scared shitless by this monster. The second reason I love this movie is because it’s so meta — and that might not be something very original sounding in a post-Curb Your Enthusiasm world, but it was a pretty original idea for its time. And it helped pave the way for other great horror movies where the lines between fiction and reality are blurred like Scream (another great Wes Craven masterpiece), Blair Witch Project, and Cabin in the Woods. New Nightmare tells a story of the lives of some of the actors who appeared in the 1984 original: Heather Langenkamp, Robert Englund, and John Saxon all appear in the film as themselves, as does Wes Craven. During the movie, Craven is driven by strange nightmares to write a new script; the script turns out to be the script for the movie we’re watching, New Nightmare — so it’s a movie about a movie about making a movie. Take that, Inception. And you know what? When the movie is done and the credits roll, it is really, really possible to believe in your heart of hearts that it wasn’t Robert Englund behind the makeup, it really was Freddy Himself. And that is why this will always be one of my favorite horror movies.